Why Should You Use a Personal Chef? For Great Tasting, Healthy Meals! 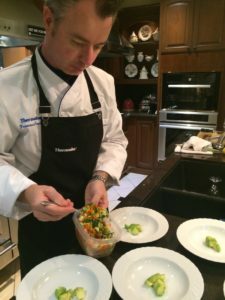 A Personal chef like Chef Francesco provides great tasting, healthy meals delivered directly to your home. You don’t have to do any shopping or cooking, just fill out a food questionnaire. This will help the Personal Chef decide what to buy and cook for you. It includes customizing menu planning so that Chef Francesco can learn what exactly you need or prefer. It helps him to personalize meals just for you and your family. He completes the grocery shopping, buying and creating delicious organic food dishes just for you. He prepares them, and delivers the finished dishes to your home. They are packaged so you can store them in your refrigerator and freezer for when you would like to eat them. Then you as the customer can pull them out and heat up whichever meal you would like, and order more when you are running low. Chef Francesco prepares meals for one week at a time and offers a Private Chef Experience for those who would prefer that method instead. Sounds like something to try! 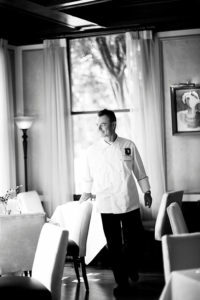 Why Go With a Personal Chef?